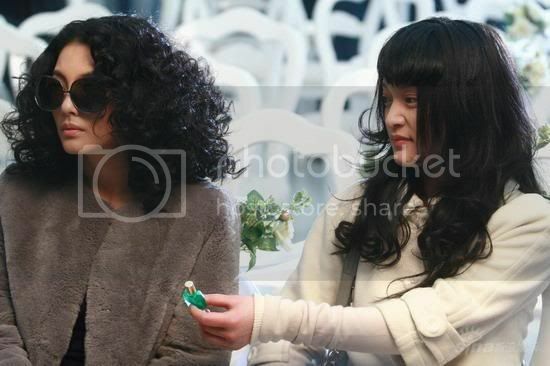 March 09, 2008, director Hark Tsui, Zhou Xun, Zhang Wu Yi and Alex Fong appeared at a church in Beijing to shoot a scene of wedding. This was the first time the media could see behind the scene. In the early morning, many reporters went to the place of shooting. Everything here was like in a folk tale. Inside of the church, staffs were decorating for a wedding, red rug was ready and rows of white chairs were full of roses. In this wedding, groom Alex Fong attracted everyone's attention by black suit and especially a beard. Fong joked that he grew a beard like this in order to imitate director Hark Tsui, because at first his role was for the director whom was so busy and he was invited then. This made him take care of the beard carefully everyday. Two leading actress that day looked different from them last evening, at the party of Women's day. 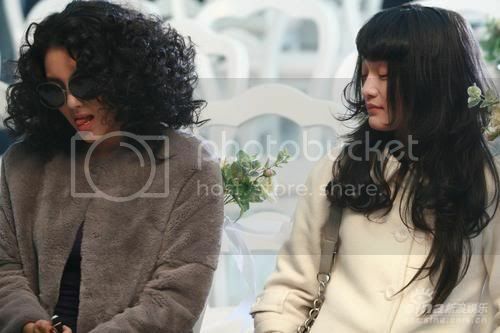 Zhou Xun expressed gentle in white coat and purple high heel while Zhang Wu Yi looked magnificent. 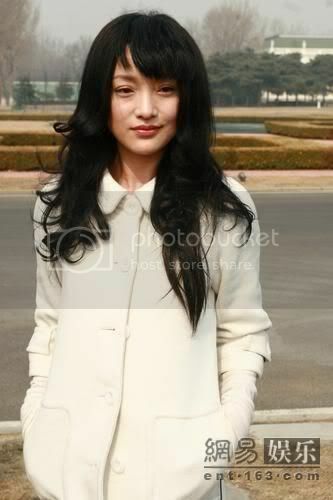 Zhou Xun said that her hair style was changed daily, sometimes become so short, she felt interesting. For Wu Yi, it is wonderful to wear many costumes. Maybe fashion will be a weapon which get female audiences ' attention to the movie. Director Hark Tsui's appearance doesn't change so much like his actors but his script does. After finishing shooting at the end of the day, having time and inspiration, he changes something in the script. How nervous actors were because of this, Wu Yi as an example. She was often in pressure and sometimes didn't know how to do. Zhou Xun herself had more experiences in cooperating with Hong Kong directors so she was familiar with this. 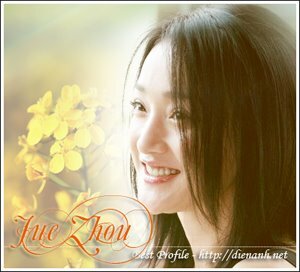 "Don't pay too much attention to old script which will be changed for sure" Zhou Xun disclosed.